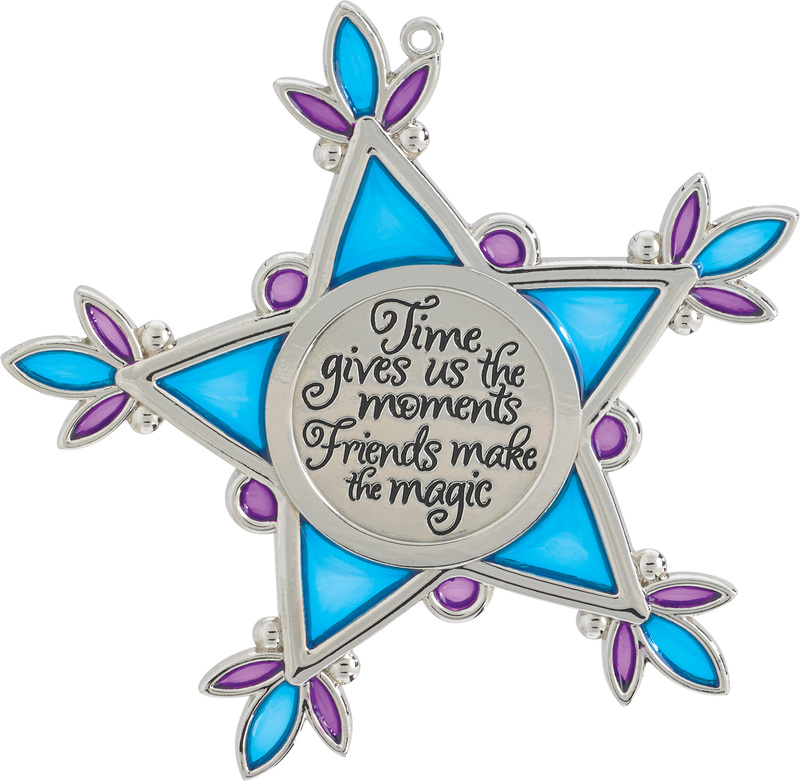 This gorgeous metal star celebrates the beauty of friendship. Caption: "Time gives us the moments / Friends make the magic." On back: "2015"
I especially like the saying. It is so true. I also like the stained glass effect.